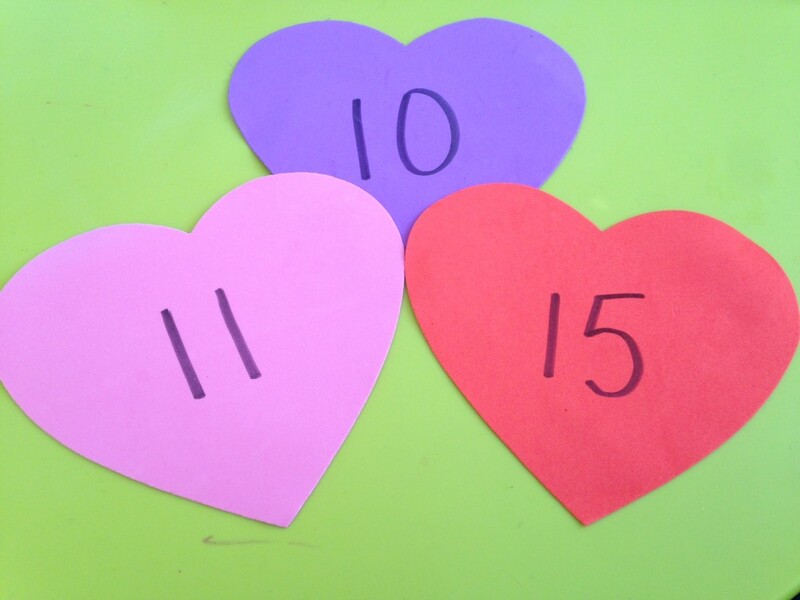 More Easy Valentine’s Hands On Activities | California Kindergarten Association. 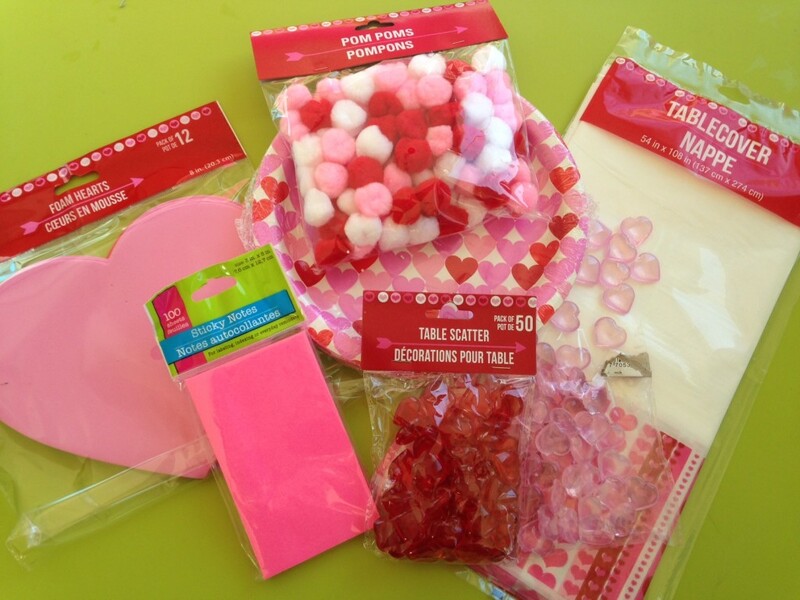 We showed you how we used the plates and the table scatter in a post – Easy Valentine’s Hands On Activities – but we forgot to circle back and show you how we used the foam hearts and the pompoms! Oops! So let’s fix that. See those large foam hearts? Let’s put those to use. We’ll use some more of those plastic table scatter hearts, but you could just as easily use foam heart stickers if you can’t find them. 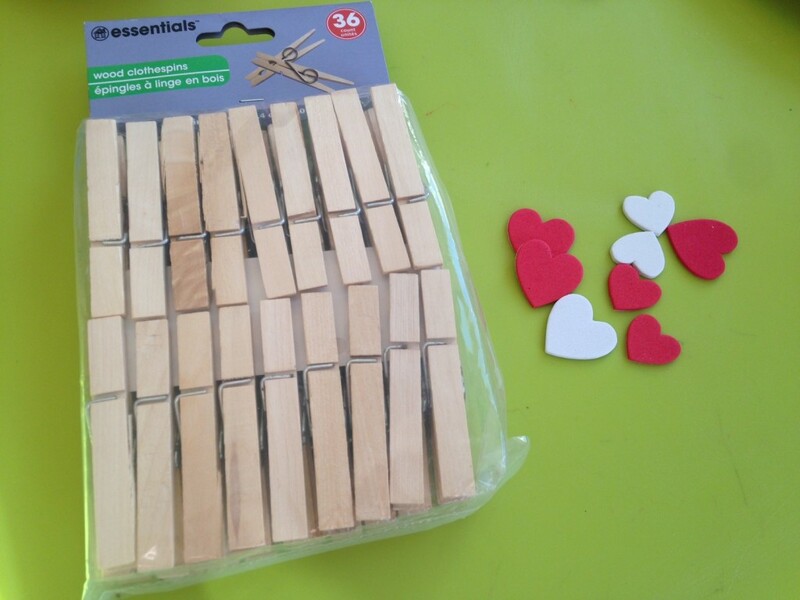 Need clothes pins? You can find them at the dollar store or a home hardware store. Picture these with the Valentine’s Day pompons counted out on them. ;) The pack we found had 80/bag. So, you’d need 4 bags to have enough to count out 1-20 and just over 2 if you only wanted numbers 10-20. Ready for a break from math? 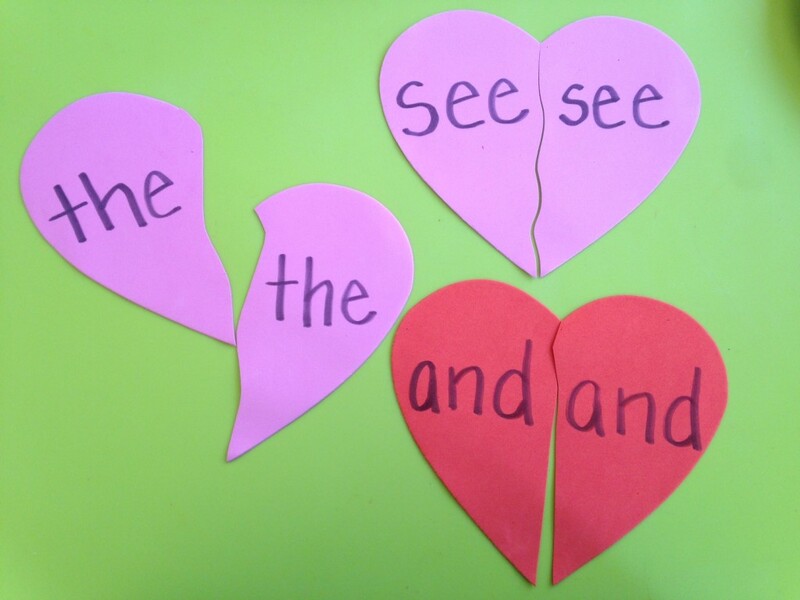 It’s super easy to make self correcting sight words puzzles. 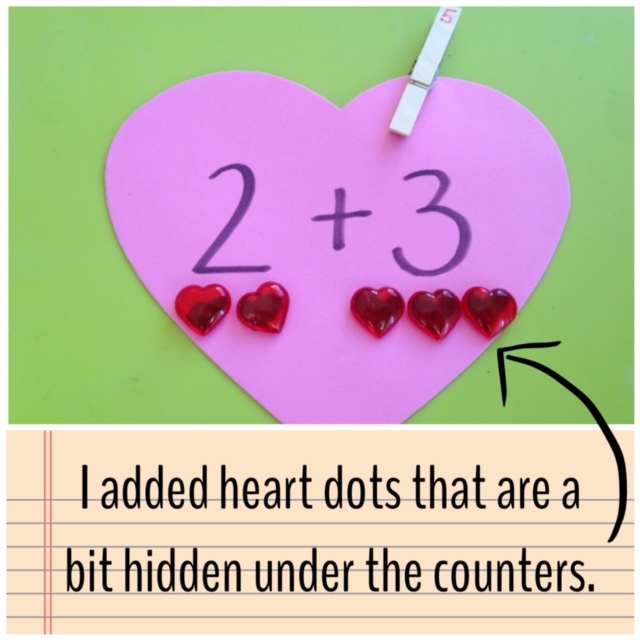 Of course, this would work equally well with upper and lower case letters, addition/subtraction problems or stick dots on one side and the target number on the other.